The Slingshot Surf / SUP Foil with H2 Wing is my favourite wing out of the Surf Foil lineup. It is incredible for kite foiling and this wing allows me to foil any waves that are bigger than waist high with ease. It has a super nice arc-style, carves and is fast enough to ride waves bigger than overhead. If the waves got any smaller or slower I would be switching to the H4 wing though. This wing in comparison allows for sharp skateboard / surfboard like turns. 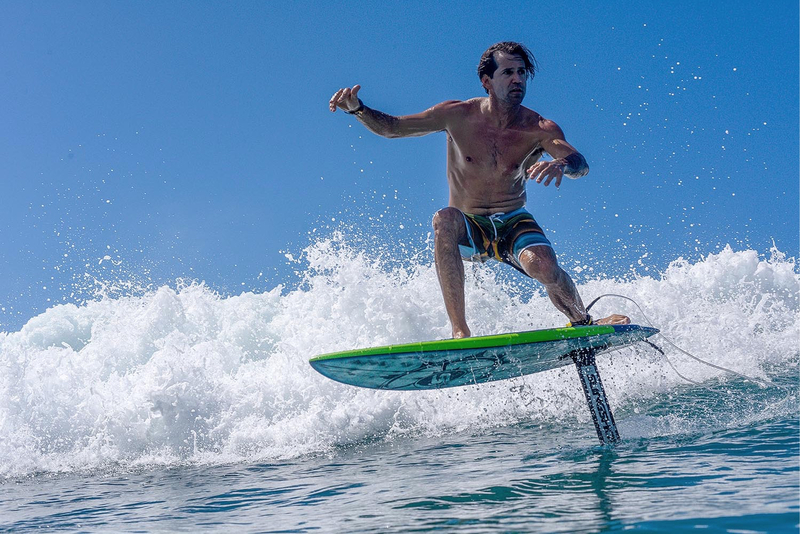 The Slingshot Hover Glide Surf/SUP Foil w/H2 Wing is designed to deliver surfers an advanced wave riding experience. This is accomplished with an early takeoff and gliding speed designed to match the speed of (small-to-medium) waves. This design eliminates the need for excessive pumping, and will show in your smooth foiling style. Once you get the basics you will learn this wing can generate speed in the turns and you’ll be carving glassy faces like they are going out of style! The aluminum design is affordable but more importantly, it increases stability and eliminates the “twitchy” behavior that full-carbon foils typically exhibit. With the Slingshot Hover Glide Surf/SUP Foil w/H2 Wing, you can ride rolling swell on the outside, catch whitewater on the inside, or when you’re ready, paddle into breaking waves like you would with a regular surf or SUP board. 360fly 4k Camera – The Best POV camera for kiting? We review the 360fly 4k camera for kitesurfing and for only $300 it's incredible!